Slip away in the moonlight with this cranberry gin and ginger ale mix. Add gin, syrup, and juice to an ice-filled mixer glass. Shake vigorously and pour into your favorite highball glass. 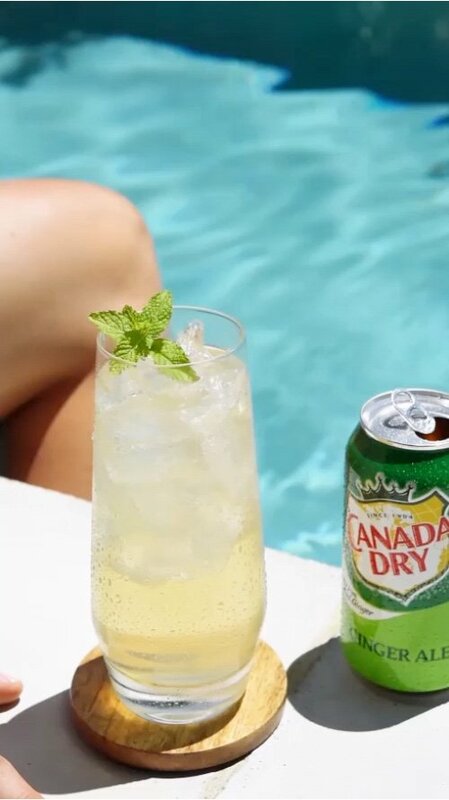 Top with Canada Dry Ginger Ale. Garnish with a sprig of thyme or orange slices.